Made this thread because there wasn't any except for the Kizumonogatari movie adaptation. Last edited by soul.assassin on Mon Jan 09, 2012 10:59 am, edited 1 time in total. And I have to transplant the post I made about Nise I posted in the Winter 2012 Anime thread. For Nise, expect shifts in character, particularly for Senjogahara. Don't expect Araragi will be the protagonist all the time. Expect an even higher level of moe and fan service compared to Bake. Expect the same high level of wits and word games as in Bake. Actually I think it is quite realistic that after all the turmoils and craziness the girls went through in Bakemonogatari the girls (particularly because they are girls) may want to do a new outlook to signify their coming out of their old, more troubled, time and entering a new phase of their life. In Nise, the characters undergo quite some shifts in their character and, to quote a (Japanese) review I once read, "the change in hair style symbolizes such changes for the girls". 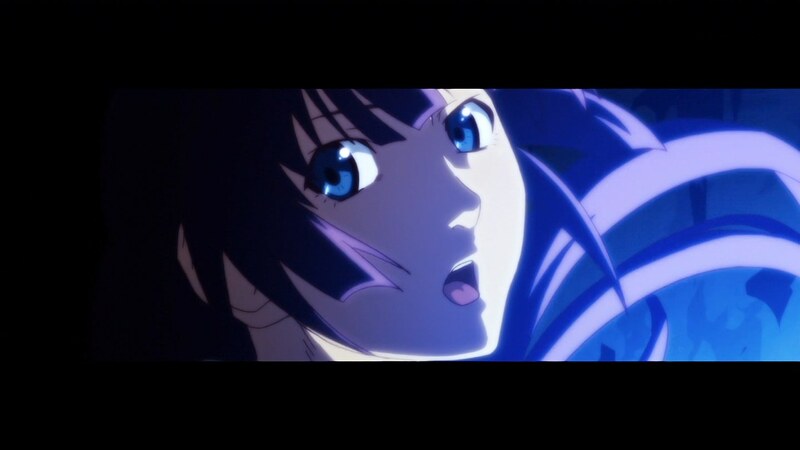 Hitagi (Senjogahara) may have undergone the most startling change, both in her character and her hair style (in fact NisiOisiN devoted more than 13 pages for the observation and analysis, through Araragi's mouth, of Hitagi's changes on the outside and inside), but Tsubasa also cut her hair, and Saruga now has longer hair. 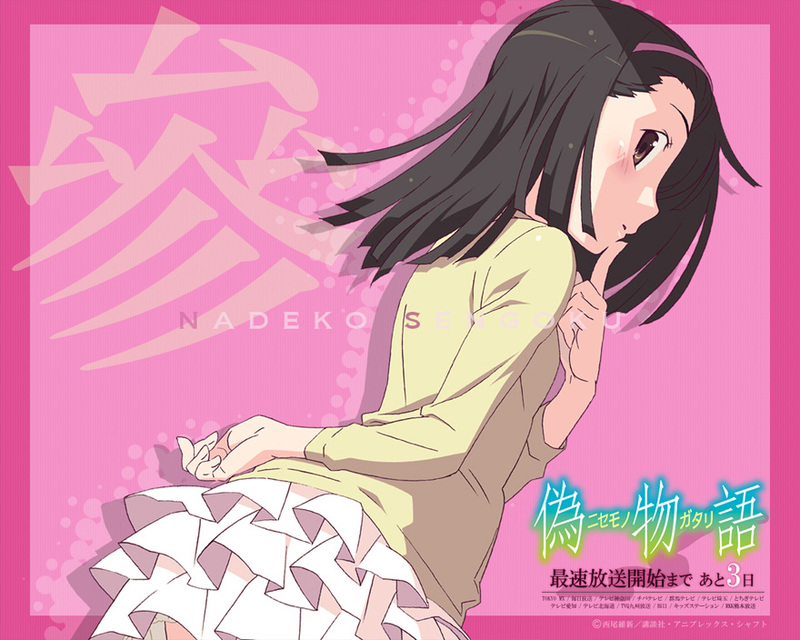 Even Nadeko undoes her forelock (under certain circumstances). These are all mentioned in the novel. Not just that, the 2 Fire Sisters and Shinobu also go through some change in appearance in the novel. The only girl who does not change is Mayoi, and there is good reason for that -- because of the fact that she is a ghost who would not go to nirvana so she is stuck with that appearance. So one can say that in this sense the change of appearance is not just an aesthetic decision but an element integral to the series. By the way, to everyone: Nise in Nisemonogatari means "fake" and it is another theme that pops up here and there in the novels (particularly near the end). I mention this just in case the meaning of the title is lost to those who don't read or speak Japanese. Nisemonogatari 1 was just too awesome. I smiled so hard when the OP came up because it reminded me of Staple Stable so much. I just absolutely love the backgrounds and enviroments in the Monogatari shows, there´s just something about the colors and, well everything, I can´t describe. And Nisemonogatari doesn´t disappoint at all in that aspect. Araragi´s encounter with Hachikuji was far more than what I expected and I got a pretty good laugh out of it and I´m glad she wasn´t only there for the comedy in the first episode. The ED, which was a piano arrangement of Hachikui´s OP was a nice touch, too. I think the whole thing felt somewhat rushed but ehh, whatever. SHAFT has upgraded their artistry, namely art direction and lololol architecture, from Bakemonogatari to sweeeeet results, and music is good. Fanservice is done with some sense of style (there was less than I expected though) and dialogue was mostly great as always. Lol'd hard at some bits. Classy eva reference was good, Hachikuji's courage game was probably the best bit. Xard wrote: even if some of Shinbo's autistic editing was distracting. Last edited by InstrumentalityOne on Sun Jan 08, 2012 1:02 pm, edited 1 time in total. InstrumentalityOne wrote: Care to give any examples? pretty much the entire schizophrenic episode. I think part of the problem was also his utter inability to adequately pace things, but I can't tell if that's totally his fault or the writing he's dealing with. Overlong tangents filled with wordplay seems more like a cheap bid to fill time rather than interesting or clever storytelling. Did you mean to post the same image two and a half times? Mr. Tines wrote: Did you mean to post the same image two and a half times? Nah, Imagebam gave me a code for all previously uploaded images(uploaded top one by mistake) and I wanted to keep the full size one from imgur. When I noticed that Imagebam gave me a code for both I just put in the imgur one too just for the heck of it. @Merridian:I personally didn´t think that the episode was schizophrenic at all. That´s just how this show works. Well this is certainly off to a strong start, really liked the first ep, has a bit of a different feel to it then the last series so far. Damn Araragi is such a pervert though hehe. Also liked the stage and curtain anology they used for the supernatural and everyday reality, in my own experiences that certainly is a very true analogy. Merridian wrote: pretty much the entire schizophrenic episode. I think part of the problem was also his utter inability to adequately pace things, but I can't tell if that's totally his fault or the writing he's dealing with. Overlong tangents filled with wordplay seems more like a cheap bid to fill time rather than interesting or clever storytelling. Well it's the general SHAFT thing though even more erratic and hyperactive than normally. The opening scene with Senjougihara got really annoying at times with lolololol rapid Senjougihara closeups and random shifts in entire framing style - not worst offender and at least it wasn't predictable like Shinbo is when he goes full auto mode in directing. Some other scenes bugged me occasionally with similar lolshaft editing to lesser extent - overall the style was pulled off superbly. I just...don't know what to make of Shinbo. What was bigger problem to me in editing terms was the whole episode feeling strangely rushed and jumpy in a way no Bakemonogatari episode did. But again, minor grievance. On the whole I really enjoyed first episode. the courage to admit one is lolicon for Hachikuji! Merridian wrote: Overlong tangents filled with wordplay seems more like a cheap bid to fill time rather than interesting or clever storytelling. Nise is even hard er to adapt to anime IMO. The word play is even more prominent and given the desire of the fans of novel to sse the word play, there is a limit of how much of wordplay to exclude. I don't see much issue with pacing within episode, but I agree there can be an issue with series composition -- I have just had a glimpse of the episode titles for the next few episodes, the current arc is going to last for at least 4 episodes. Many in 2ch wonder if this would make the series less interesting to those who did not come from the light novel fan base. Xard is correct in saying this time it looks more erratic and hypteractive, which I see as an attempt by Shaft to beat the expectation of those who have seen Bake and also to compensate (perhaps overly so) the more wordy style in Nise novel, although I do not really see it as a "problem" with Shino directing. And schizophrenic it is definitely not. I laughed at Mayoi's ballistic reaction. U MAD KYUBEY? Ending felt a bit abrupt but it feels like Bake with a bit more quirky dialogues and meta-commentary. I like it. I don't see a whole lot of story in characters walking around repeating themselves while noticing puns in each other's speech. Maybe it's supposed to be postmodern or something, but as storytelling goes, this leaves a lot to be desired. I guess I was disappointed in the fact that it took 22 minutes for so little to happen, which was amplified by the fact that the first scene and the last scene both stretched on longer than the tension in said scenes could handle. Did we really need Mayoi to repeat herself to Araragi at the end? Did we really need Senjougahara to spend so much time domineering in the beginning? Most of their combined banter didn't even supply anything to the story, either. I might as well have been watching some sort of stand up comedy act with flashy editing and cool looking backgrounds (which I guess is what SZS is, really). Merri, that's just one episode. Better take in two more episodes before you do the judgment call. Besides, don't worry about some of the characters having little screen time there, they'll have their chance with Araragi. Wasn't this the case with Bake before though? A lot of verbal tam-tam and visual frantics with seemingly little actual progression. Since symbv mentioned this arc is going to have multiple episode, I think it's fair to wait how things will develop from here on. Last edited by Fireball on Mon Jan 09, 2012 5:00 pm, edited 1 time in total. symbv wrote: Xard is correct in saying this time it looks more erratic and hypteractive, which I see as an attempt by Shaft to beat the expectation of those who have seen Bake and also to compensate (perhaps overly so) the more wordy style in Nise novel, although I do not really see it as a "problem" with Shino directing. Well it was a problem in the sense it could take my attention away from what was actually going on the screen in terms of character interaction etc. Merridian wrote: I don't see a whole lot of story in characters walking around repeating themselves while noticing puns in each other's speech. Maybe it's supposed to be postmodern or something, but as storytelling goes, this leaves a lot to be desired. I must admit I watch Nisemonogatari mainly for three things. NisiOisiN’s delicious dialogue, the general SHAFTy aesthetics and intelligent mature fanservice for intelligent mature audiences (such as myself hurhur). The emotional main line that gave Bakemonogatari what soul it had under the surface was the surprisingly and astonishingly heartfelt romance arc with Senjougihara. I don’t know if I can expect much focus on that from Nise so I’ve been left with the three first mentioned safe bets (though I hope this too has such “soul”). In short at the very least show will provide me a delicious pandering oglefest which is the precisely reason I’m watching this. I admit as much – and for me the gratuitous, overblown "oh so clever" dialogue and extremely male gaze oriented framings titillate the same hedonistic sources of pleasure. I don’t really watch fanservice shows at all in general (insufferable crap) but when it’s done as delightfully as *monogatari series is there’s a lot to enjoy and keeping this approach to work makes sure I don’t make the mistake of treating the show as something more than it is. Which is to say unlike you I’m not enjoying *monogatari *despite* fanservice – for me all elements of the title mix together into this flattened, contentless aesthetic that allows me to wallow in purely hedonistic field of oddball artistry, delicious legs and snarky oneliners. You can’t remove anything from the mix or the effect will be ruined. Of course I’ll be very delighted if the show will offer something beyond the aesthetic like BMG ended up doing but I’m not really watching it for the hope it does. If it will all the better, if not I still get the aesthetic punch I’m after. Nisemonogatari indeed seems to have been confirmed for 11 episodes. I'm not yet sure why anons say toothbrush scene was cut based on this... I mean, I don't see a thing. Troll I guess? I guess I was disappointed in the fact that it took 22 minutes for so little to happen, which was amplified by the fact that the first scene and the last scene both stretched on longer than the tension in said scenes could handle. Just like Xard and Fireball said -- you don't read/watch "monogatari" series for storytelling. Story is just one of the elements in the series and it is not even the most important one. As I said earlier, Nise is even more prominent in wordplay then Bake. So people who only tolerated Bake because it has some story may find Nise more hard-going. That said, I can see compared to Bake each major scene is stretched out longer here - in all we have only 3 of them in this episode, with Senjogahara, with Tsukihi, with Mayoi. Coming from a fan of the light novel, I savored every bit of the dialogue with glee but as 2ch also noted the stretching and thus slower pace may turn off newcomers. Merridian wrote: Most of their combined banter didn't even supply anything to the story, either. I might as well have been watching some sort of stand up comedy act with flashy editing and cool looking backgrounds (which I guess is what SZS is, really). soul.assassin wrote: Merri, that's just one episode. Better take in two more episodes before you do the judgment call. Xard wrote: Well it was a problem in the sense it could take my attention away from what was actually going on the screen in terms of character interaction etc. I guess I enjoy the chemistry between NisiOisN's contents with Shinbo's style. To me they are integreated so well that the form complements the contents instead of distract from it. But I guess mileage varies. 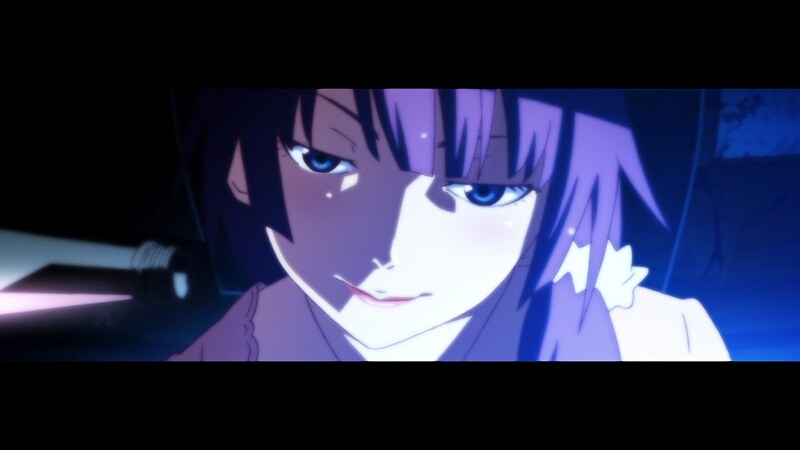 Xard wrote: Nisemonogatari indeed seems to have been confirmed for 11 episodes. I'm not yet sure why anons say toothbrush scene was cut based on this... I mean, I don't see a thing. Troll I guess? Do you know where the source of the pic is? Seems to be some Shinbo interview in an anime magazine.... NewType? - "Nisemonogari" has in total 11 episodes. S: Yeah. It is best to include the conversation drama between those characters while keeping a proper story. After we pushed to the limit to reach the balance, we came up with 11 episodes in total. - You mean you want to push for some tempo? S: There is tempo already in the original novels. It is about how much to keep the short-play like converstaions that have their own tempo. There is a line in which we said "if we cut out up till here, it will no longer be Nishio Isin". All the dialogues are the same as the original novels, and if we got just one word different in the off-recording session, we fixed it there. Even if it is just a difference of "Boku wa" and "Boku ga" [symbv: wa and ga are particles that are similar but can have different subtle meaning and is said to be particularly tricky to grasp for Japanese language students] if it is "Boku ga" in the original novel, we would change it on our side to match that. - The "monogatari" series of Nisio Isin-san still has quite a number of titles. Do you think they will be animated as well? As the interview shows, the "conversation drama" is given a paramount importance in the anime. I am sure the "repetition" element is deemed as essential to giving the anime the NisioisiN flavor. Hmm... where is "toothbrush scene" mentioned?? Perhaps not in this scan? EDIT: One thing to note for Nisemonogatari is that even though the light novel is composed of 2 volumes, like Bakemonogatari, there are only 2 arcs compared to 5 in Bake. So most likely it is Karen Bee 6ep vs Tsukihi Phoenix 5ep or the other way round.